“For the one year anniversary of launching the Valkyrie, we wanted to create a continuation of the original Valkyrie Ad (see below) first released early last year. 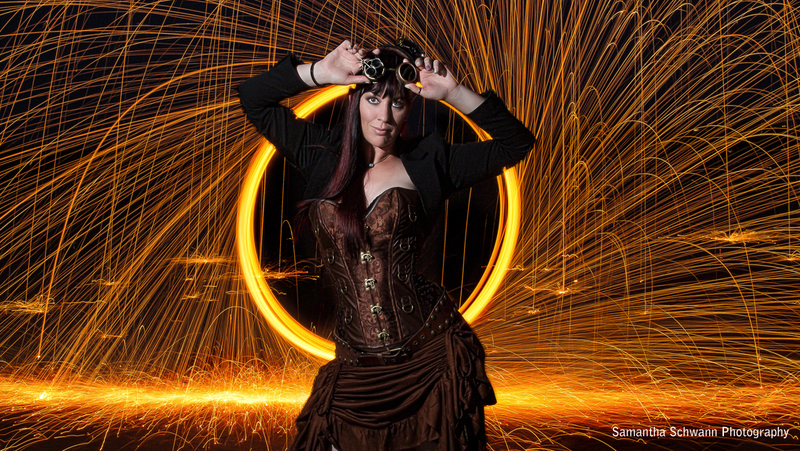 Sticking with the same theme, we aimed to showcase a strong female figure as the personification of the Valkyrie. Brianne Thompson of AXIS Flight School was chosen. As a strong, confident, talented woman in the sport, she was a natural choice for the ad. 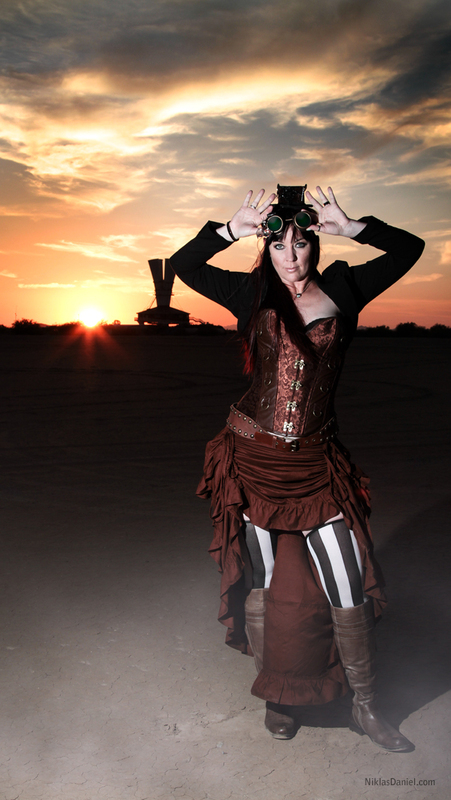 Brianne Thompson of AXIS Flight School rocking a steam punk outfit in the Arizona Desert. Image below is a collaborative effort between myself and Samantha Schwann. Check out Sam’s Facebook page for more awesome photos! In May I posted a picture on my website that got people wondering how it was done. 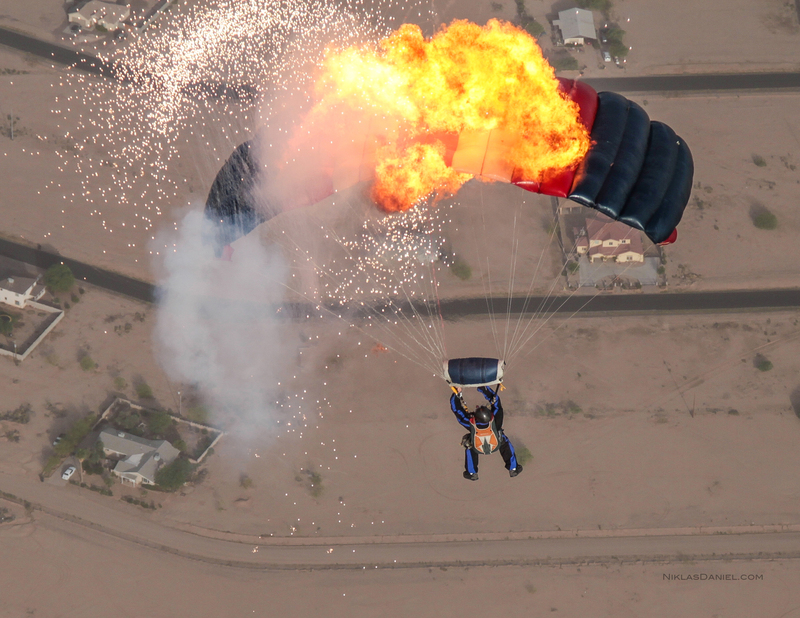 Jim Hickey visited Skydive Arizona a number of times in order to burn some parachutes. Jim came back in early August for a second attempt – this time at night. Steve Curtis and I joined him, successfully burning three parachutes in one go. 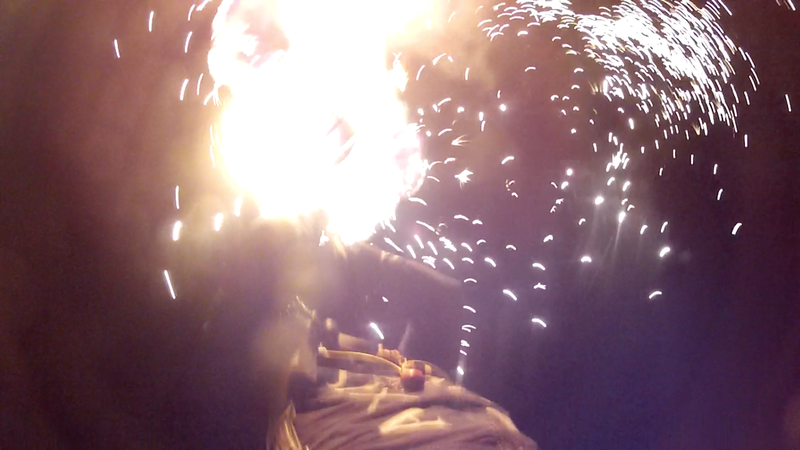 Here are a couple of screen grabs form a GoPro that was attached to my knee. 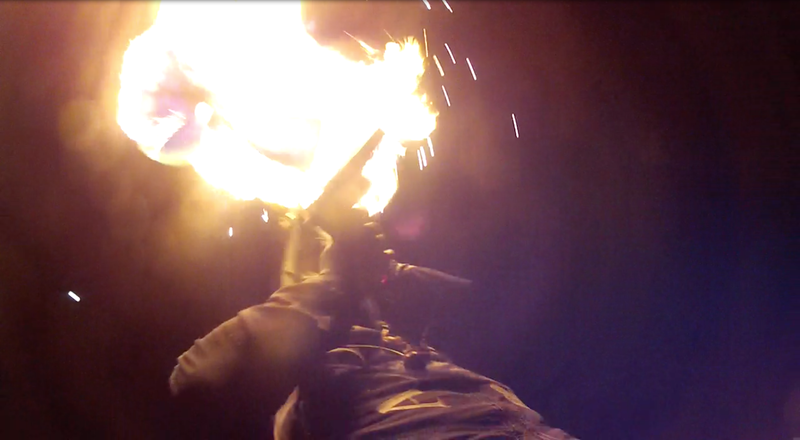 Some of the footage will be incorporated in a compilation video and uploaded to the AXIS YouTube Channel very soon.